If using the starter culture, stir together the culture and 1/2 cup of water. Let the mixture sit while you prepare the ingredients—around 10 minutes. 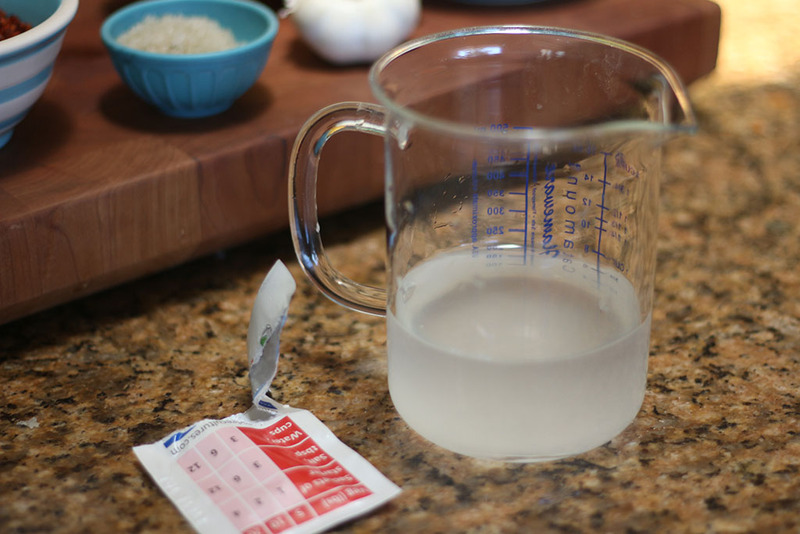 If using kefir whey, add it when the recipe calls for culture. 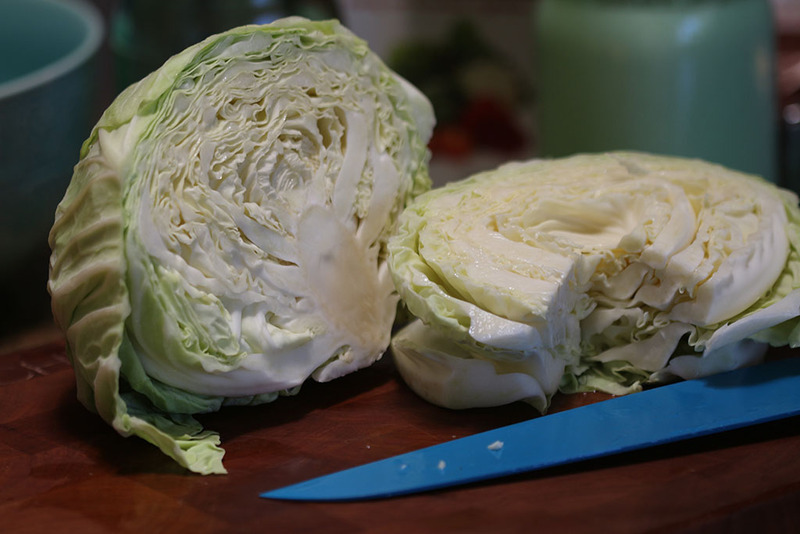 Remove outer leaves of cabbage. Cut out the core on the cabbage. 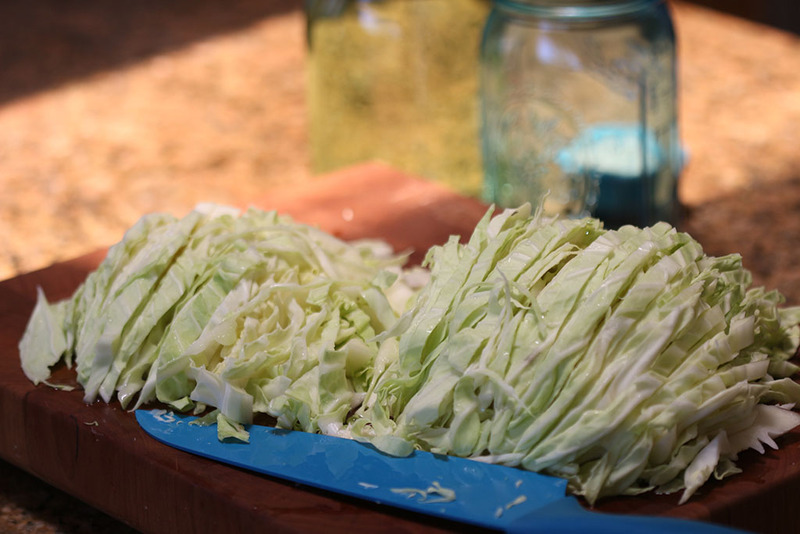 Shred cabbage into desired length. 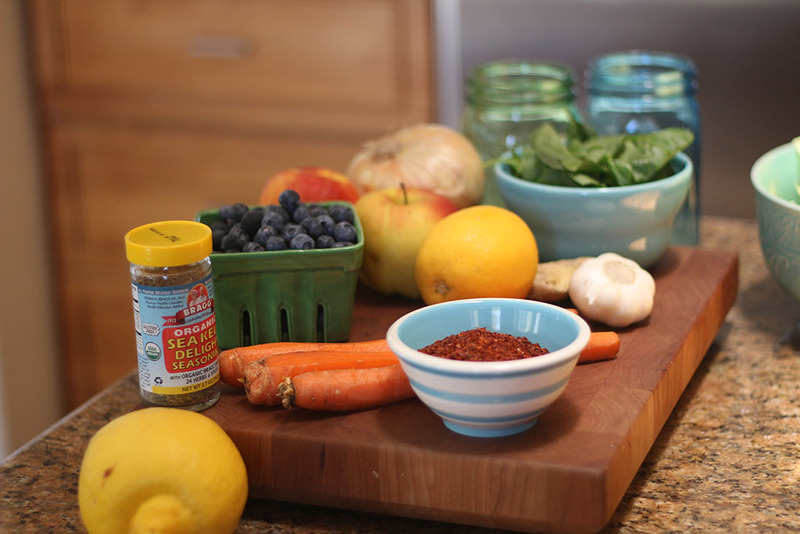 You can use a food processor or by hand. You can chop it finely or in thicker pieces it's up to you! 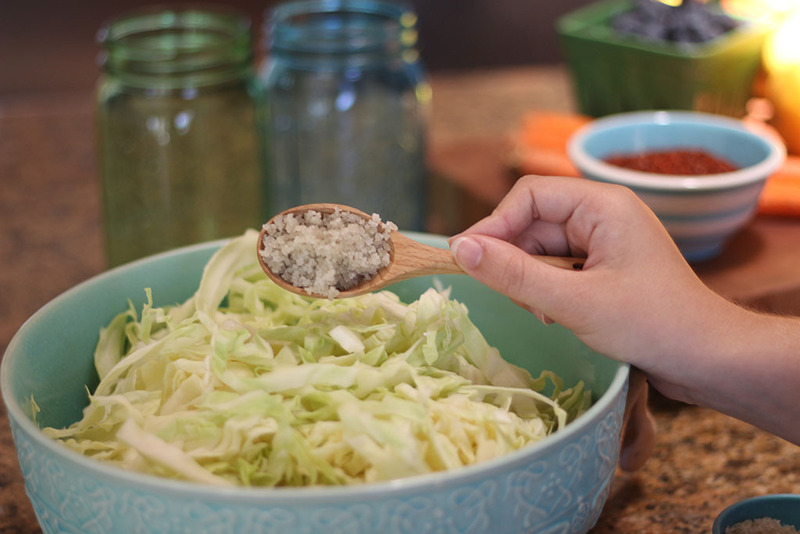 Add your cabbage to a large bowl and add salt and toss with cabbage to combine evenly. Add in extra veggies, fruit or seasoning if desired at this point and toss together to evenly combine. 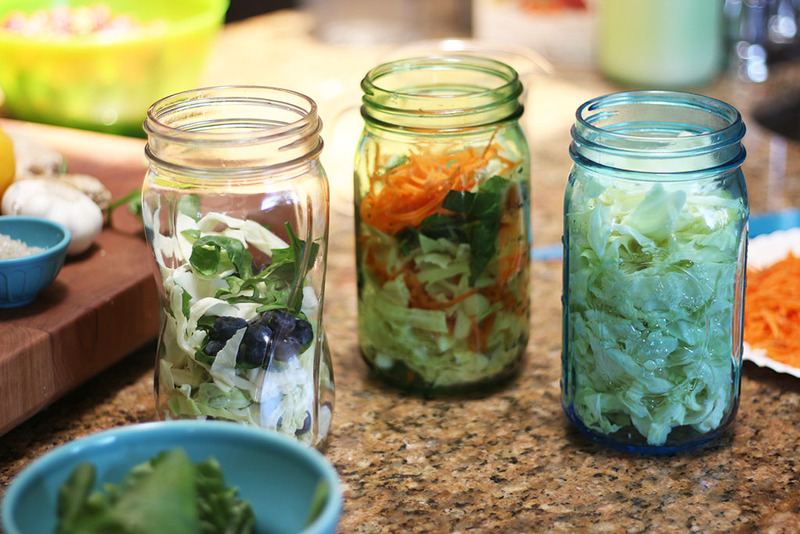 Pack cabbage into a canning jars. 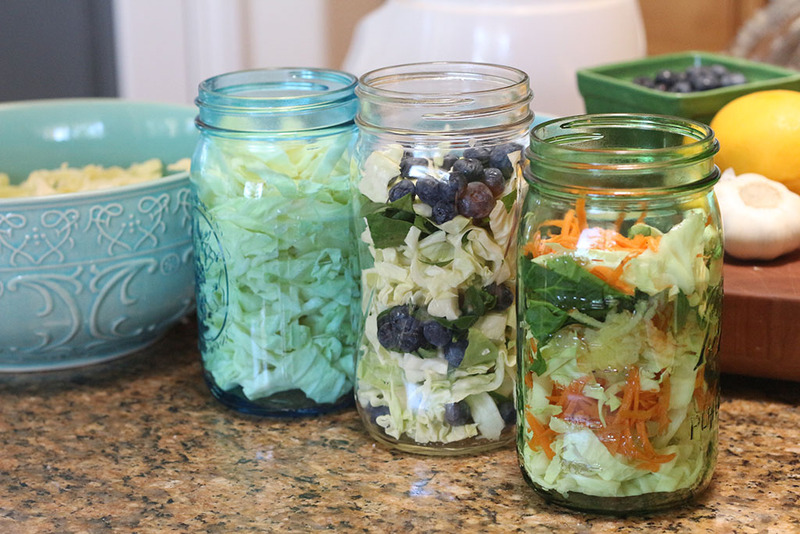 Make sure you save two inches at the top of the jar for the cabbage to expand. 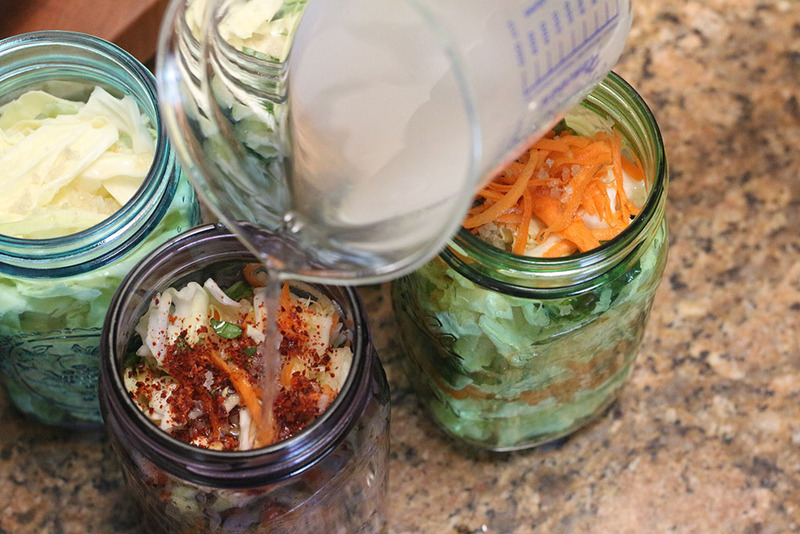 Add the Cutting Edge Cultures or kefir whey to the jar or jars. Spread it evenly. Fill the jar with water. 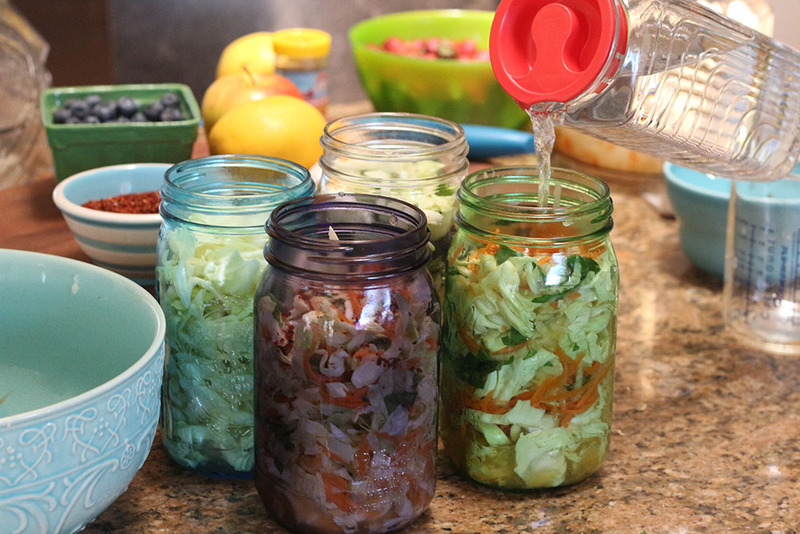 Leave 2 to 3 inches at the top of the jar for kraut to expand. 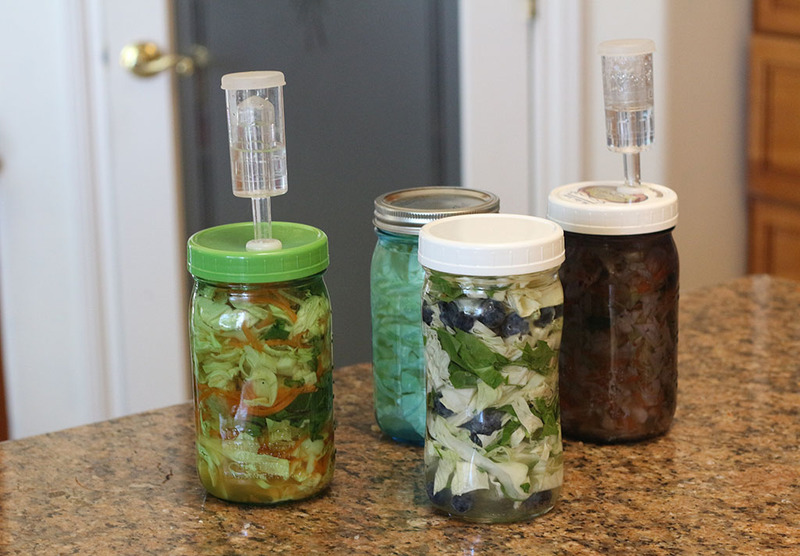 Place secure lids or airlocks on jars. Set in a cool place, out of sunlight for 6 to 7 days. After 6 days taste them and if they're tart tasting they're ready, and you can eat them or place them in the refrigerator. You can check the vegetables every day to make sure they are fully submerged in the water. If they have risen above the water, simply push them down so they are fully covered by the water or add more water to cover. If any white spots formed because the veggies rose above the water, do not worry. Remember, this isn’t harmful. Just scoop out the vegetables that have the white spots on them and push the rest back under the water. These can last at least 9 months or longer in your fridge.